We’ve all heard stories about friends, relatives, or acquaintances who have fallen victim to financial scams. Or a ‘friendly’ telemarketer claims you’ve won a trip or a major prize, and you just need to provide your banking information to claim it. The ways in which criminals try to fraudulently get your money continues to grow, and despite warnings from police forces, consumer advocacy groups, and government agencies for all of us to be on alert in order to avoid falling prey, one group in particular is increasingly being targeted – older adults. The financial exploitation of older adults has been recognized as a serious problem, associated with major consequences such as increased mental and physical health problems, more hospitalization, shortened survival, and diminished quality of life. However, knowledge about the extent of the problem is mostly limited to ‘financial abuse,’ which is perpetrated within a relationship of trust, such as family or caregivers. Little is known about elder financial fraud and scams, which are perpetrated by strangers. Never give out information to an unsolicited caller. Government agencies such as the Canada Revenue Agency will not threaten you with deportation or make urgent requests for money by prepaid credit card, or a money wire service such as MoneyGram or Western Union. Be very careful when someone offers you money to help transfer funds. Once you send money to someone, it is impossible to get it back. Be suspicious if someone you don’t know asks you to send them money or a cheque, or to return money they ‘accidentally’ sent you. Do not click on pop-up windows or respond to emails, open attachments, or go to website links sent by people you do not know. Your bank or credit union will not send you anything by email unless you ask them to. Do not respond to offers of money, threats of legal action, or warnings about ‘compromised security’. No legitimate company will call and claim your computer is infected with a virus. Treat your personal details like you would treat money, don’t leave them lying around for others to take. Carry only the credit cards and identification you actually need. Keep all personal documents in a secure place. If you don’t need them, do not carry your birth certificate, passport, or SIN card. Destroy personal information, don’t just throw it out. Ensure that items such as credit card applications, charge receipts, insurance forms, and bank statements are shredded and safely disposed of. Never give out your credit card, bank account, or personal information to someone over the phone, at the door, or over the internet unless you know the person or organization you are dealing with, or unless you made the contact. Never share or disclose your passwords to anyone. Avoid mail solicitations disguised as promotions that request personal information. Wondering what The Best Chocolate Cake Recipe Ever has to do with Burloak Senior Support? I’m not sure…but you’re welcome! A one bowl chocolate cake recipe that is quick, easy, and delicious! The cake batter will be very thin after adding the boiling water. This is correct and results in the most delicious and moist chocolate cake! Caregiver burnout happens when we are in a state of physical, emotional, and mental exhaustion caused by looking after an aging loved one or another chronically ill dependent. It can lead to fatigue, stress, anxiety, and depression. It is important that caregivers recognize symptoms and practice self care, look after their own health, and develop effective coping strategies. Denise Klein has written this article on how to escape and nourish yourself to continue to be the caregiver you want to be. Quality over quantity! This study proves that kids who spend quality time with loving grandparents are less likely to become prejudiced against the elderly later in life. This is an interesting article just out this week that discusses the importance of fostering a great connection with your grandkids. For all those parents who’ve felt the sudden urge to drop their kids at Grandma’s house, you’re not alone — and now there’s science to support your cause. While your primary motivation might be an uninterrupted night with Netflix, a new study suggests that spending quality time with one’s grandparents might inevitably prevent ageism later in life. According to a recent study, fostering nurturing relationships between children and their grandparents could prevent said kids from developing an ageist mindset down the road. Published in the journal Child Development, the findings claim that children who establish a sound, loving relationship with their grandparents are less likely to become prejudiced against the elderly as they grow up. Conducted by University of Liege in Belgium, researchers asked 1,151 Belgium children, ages 7 to 16, to describe their feelings toward their grandparents. As it turns out, those who were unhappy with the relationship were more inclined to have ageist views. Ultimately, quality trumps frequency, as those who have solid relationships with their grandparents are less prejudiced regardless of how often they see each other. However, this correlation might inevitably impact how our society views older generations, especially in the business realm, which has seen a steady influx of ageist sentiment as many forego retirement to buffer economic uncertainty. As Nicole Javorsky writes for City Limits, today’s workforce now spans a wide breadth of age groups — but not everyone’s willing to embrace the elderly with open arms. If we can begin to curb negative perspectives by teaching children to love and respect the elderly people they hold near and dear to their hearts, perhaps we can work to cultivate an enriched workforce where all ages are welcome. Secondly, you haven’t any new health concerns. Ok maybe you aren’t quite as slim or have all of your hair but hey, you are doing ok! Maybe it is time to make some plans to travel. Will it be to a favourite destination that you have travelled to before? Will you explore somewhere new? Do you see yourself falling for ‘pier pressure’ on a sandy beach or are you sipping a cold pint in the pub on a rainy day in Ireland? It is all based on personal preference. One man’s paradise can be another man’s hell. Costa Rica has been hosting retirees for more than 30 years, and all the reasons why this Central American gem first attracted those seeking a better life abroad back then still hold true today. As a safe and stable country, with no army, Costa Rica welcomes foreigners with open arms. People are friendly and happy. The unofficial national motto, Pura Vida, means “life is good.” And that laidback attitude permeates daily life in this country. It’s a stress-free, relaxed existence. Expats are attracted to Costa Rica for numerous reasons, which include the affordable cost of living, excellent healthcare, a modern telecommunications structure, beautiful beaches, rainforests, lush valleys, and cool mountains…not to mention the theaters, art galleries, and fine dining. There are more than 20,000 expats living in Costa Rica and many well-established expat communities. 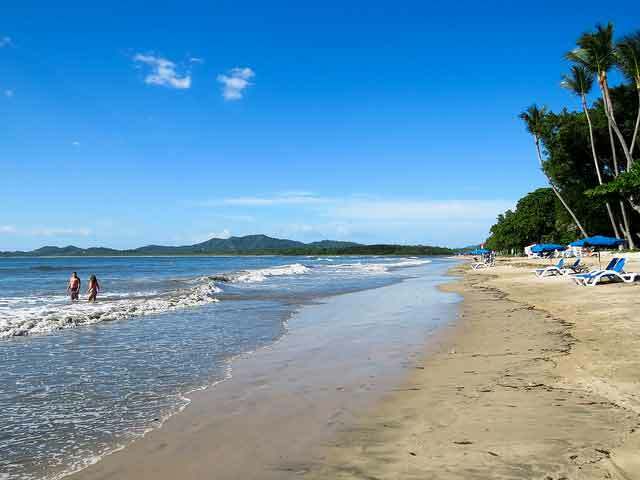 Costa Rica also has a wide variety of climates, landscapes, and lifestyles. So there’s really something for everybody. Whether you want a temperate climate in the mountains, in small farming communities…or would rather chill out in a bustling beach town where there’s always a party going on…there’s a place for you in Costa Rica. In the world’s top retirement haven for 2018, you’ll find the tropics along the Pacific and Caribbean Coasts, while most of the Central Valley is cool and breezy. If you find it difficult to choose which climate you prefer, you will be glad to know that the mild temperatures of the Central Valley are just two hours by car from the tropical beaches of the Pacific Coast. One of the major reasons Costa Rica is so attractive to retirees is the highly-rated healthcare. All the latest technology is available, and doctors are trained in the latest techniques. Feel like checking out a worry free trip to Costa Rica? Burloak Senior Support offers affordable and reliable vacation home watch services customized just for you! Welcome to Burloak Senior Support! Thank you for stopping by my webpage and blog. I am so excited to introduce myself and this company. It started as a vision, a passion, and a purpose. Three months later this dream has come to life with hard work and a lot of support and encouragement. Things seemed to line up, show up, and fall into place! Why this business? Why now? I have volunteered in Burlington for many years with older adults at the bedside in hospice care and in the hearing healthcare industry. I have been honoured to get to know each person and hear the amazing stories they have to tell. I was also exposed to the challenges seniors face due to the aging process itself and the loneliness and isolation of many seniors live with daily. Our baby boomers in Halton Region are aging and living longer and I have come to see a growing need for caring and compassionate support, and reliable and affordable solutions for this growing and most valuable part of our community. I find it amazing that today’s western cultures tend to be so focused on youth and value such qualities as individualism and independence. One’s value is tied to his or her ability to work and earn, something that diminishes with age. Seniors in North America often live lonely lives and are separated from their children and friends. In other parts of the world, such as in China and Korea the elderly are honoured, prioritized, celebrated, and treated with the utmost respect. Burloak Senior Support allows me to do what I truly love and provide valuable and much needed services at the same time. It is my vision that this blog will become a way to expand my reach to seniors and their families and provide a platform to discuss some serious, impactful issues and topics that relate to older adults. At other times it will be a place to laugh together about life, to share ideas and personal stories…and let’s be honest…we will also find the time to share a yummy, tried-and-tested, ‘must share’ recipe as well. To the seniors and their families out there looking for support, connection, and compassion…. I work for you!